Raise Deductibles: The idea behind home insurance was not to cover small things that occur around the home, but in reality to cover catastrophic events. Increase your deductible to the highest limit you can comfortably afford to reduce your yearly costs. Choose Carefully: When looking for your new dream home take into consideration if it lies in a flood prone area. Look for a home that is in a community with a professional fire department. 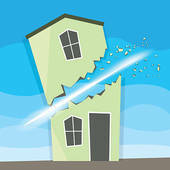 Prior to purchasing a home review the Comprehensive Loss Exchange report to see any previous claims on the home. Reinforce: Modernize your home if it needs it to reduce the risk of fire and water damage. If your home does not have storm shutters, consider installing them. Home Security: Keep your smoke detectors with working batteries at all times. Make sure to deadbolt the doors in your home at all times, and install an alarm system. Group Policies: To save money on your home insurance policy, group it with other policies such as auto loans. Many times companies will provide you a large discount if both your home and auto policy are with them. Get Rid of Coverage: Do not add things to your policy that you do not need as this only drives up the cost. Review your home insurance policy and costs yearly to be sure you are getting the best coverage and the most affordable cost. 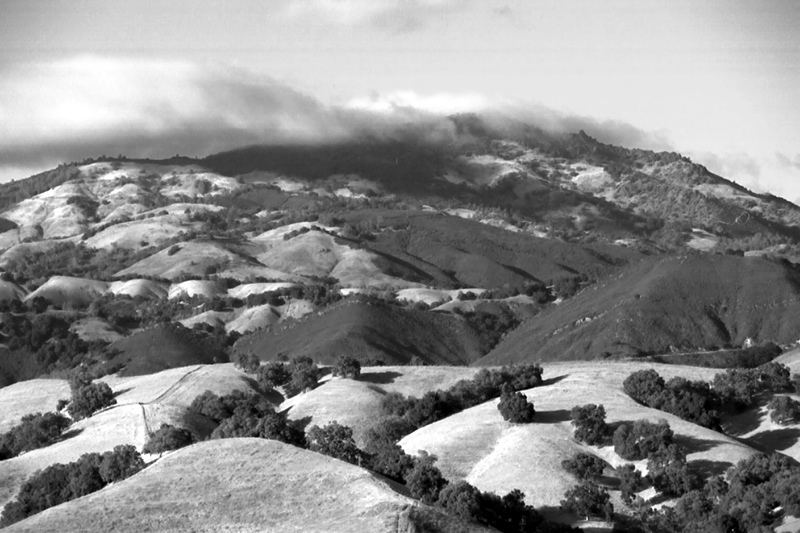 If you are ready to sell or buy a home in East Bay, contact me by email or call me, Brad Gothberg, at (925) 648-5326. I have been a real estate professional for 23 years and my qualifications include the production of over $105 million in sales within the past 5 years. If buying a new family home in Danville is in your future, budgeting your finances to afford it is a must for many families. You may have to sacrifice a little, and stick to a strict budget to save for your new Danville home, but homeownership is within your reach. If you are currently renting a home in Danville, here are a few tips to what is needed to make your dream of homeownership a reality. 1. Focus on your credit–When it comes to obtaining a home loan, your credit score plays a major role. A low score can prevent you from buying a home or qualifying for the best interest rate. Annually you should request a free credit report at AnnualCreditReport.com to check for accuracy. If you need to improve your credit score, you should start by paying off any past-due bills you have, and then continue to pay every bill on time. Next, work on reducing the balance on your accounts to less than 30% of the credit limit available on the account. 2. Save up–You want to save up as much money as you can for a down payment on your new home. If you are able, set aside money each month into a savings account as if you were making a mortgage payment. Learn to budget your money, and stay on budget to build your savings. Many experts recommend setting up an automatic transfer of funds directly into a savings account through your bank or employer. 3. Pay down debt–While you are increasing your savings, you also want to do your best to pay down your debt. Potential lenders want to see that you are able to manage your debt and that you can keep your credit-card balances low. If your current debt-to-income ratio is above 50%, you must focus on paying down debt before you should consider buying a home. Most lenders will only provide conventional loans with a 41% debt-to-income ratio. 4. Research–Buying a home may be a few years in your future, but it is never too early to start thinking about what Realtor® you will use and talking with mortgage lenders about how much of a loan you can qualify for. A qualified Realtor® such as myself would be happy to help you with the process. Now is the perfect time to buy a home in Danville. If you are ready to sell or buy a home, contact me by email or call me, Brad Gothberg, at (925) 648-5326. I have been a real estate professional for 23 years, and my qualifications include the production of over $105 million in sales within the past 5 years. In today’s market, home buyers are looking for a deal. Here are some incentives as a home seller in East Bay you can consider to help get your home sold. Points are fees that lenders charge to finance a loan. Typically, one point is equal to one percent of the mortgage loan. Consider offering to pay the new home buyer’s points in an effort to secure an offer on your home. Closing costs are those costs that are incurred by escrow companies and lenders to process paperwork that is needed to close the sale of the home. As the current homeowner, offer to pay for the buyer’s closing costs by stating you are willing to pay up to a certain amount. Nearly all lenders will require a home inspection before a loan will be approved. Many times a buyer is the one paying the cost of the inspection. Offering to pay for the home inspection is an added incentive to spur buyers to buy your home. If your home is in need of a little updating and you do not have the finances to completely remodel, consider offering the buyer an allowance. The allowance is a credit given to the new homeowner to compensate for some areas of the home that need a little updating. Taking on a new mortgage payment can be a lot for many new homeowners, and the added cost of utility bills can also add to the sting. Make it easier on the buyer and offer to pre-pay certain utilities for a certain length of time. Weigh your options carefully when it comes to offering any added incentive. Many times selling incentives are just what an East Bay home needs to sell quickly. The housing market competition is increasing and an incentive as mentioned above will help your home stand out in the market. Choose an incentive that will fit in your budget. If you are ready to sell or buy a home,contact me by email or call me, Brad Gothberg, at (925) 648-5326. I have been a real estate professional for 23 years and my qualifications include the production of over $105 million in sales within the past 5 years. Once again home prices are on the rise. For the sixth month in a row, home prices have continued to rise in America’s largest cities. Low home supply and increased demand is continuing to help the housing market. Now is the perfect time to buy a home in Blackhawk as home prices are continuing to rise. The Standard & Poor’s/Case-Shiller home price index for the 20 largest metropolitan areas in the country rose 0.3% from August and 3.0% from September 2011. Not only was this the sixth consecutive month in a row for price increases, it is the fourth year in a row to see a year-over-year increase. 13 out of the 20 cities tracked by the report showed a gain over August of 2012, and 18 cities saw price increases when compared to year-over-year numbers. The city leading the way in the report was Phoenix, which was one of the cities hit hardest in the past housing market. Phoenix had a 1.1% gain from August and a large increase of 20.4% from year-over-year. “With six months of consistently rising home prices, it is safe to say that we are now in the midst of a recovery in the housing market,” said David M. Blitzer, Chairman of the Index Committee at S&P Dow Jones Indices. If you are ready to sell or buy a home, contact me by email or call me, Brad Gothberg, at (925) 648-5326. I have been a real estate professional for 23 years, and my qualifications include the production of over $105 million in sales within the past 5 years. Proper home maintenance can go a long way in maintaining your home’s value, and if you have an asphalt driveway, you want to protect and maintain it. Taking the time to patch and seal your driveway can extend the life of it, along with adding to its curb appeal. Now is the time to restore your asphalt driveway before winter arrives. Below are some helpful tips when it comes to maintaining your East Bay home’s driveway. Look over all areas of your driveway and look for any cracks, pot holes, oily stains, or crumbling areas. The end of the driveway tends to be a common area where damage occurs. If you notice oil or grease stains on your driveway, try to remove them by using hot soapy water with a stiff-bristle scrub brush. If this method does not remove the stains, try dissolving the stains by using a degreaser. It is common for most driveways to have cracks, and you want to make sure they are repaired before you apply an asphalt sealer. If the cracks are not repaired, they will grow wider over time. There are many products on the market that can be used to fix these cracks. If untreated, cracks can lead to potholes in your driveway and they also will need to be repaired before sealing the asphalt. You can purchase a blacktop patch to fix the potholes and crumbling asphalt. Remove any pieces of loose asphalt or substrate before applying the patch. The last thing you will need to do before applying your sealer is to prep your driveway. Thoroughly clean the driveway by using a push broom, then hose off the driveway with a hose or a power washer if you have one. When your driveway is prepped and ready to be sealed, check the package of your sealer to see how long it takes to dry. Some sealers may take up to three days to dry. Check your weather forecast to be sure rain is not in the forecast while the sealer is drying. There are several types of asphalt sealers on the market. Tar-emulsion sealers are the least expensive and usually start out around $12 per five-gallon pail and offer minimum protection. These types of sealers require constant stirring during application. Asphalt-emulsion sealers tend to be the most popular and cost about $20 to $25 per five-gallon pail. This type of sealer typically does not require constant stirring during application and provides stellar resistance to oil stains and water penetration. Once again, mortgage rates have reached an all-time low here in Alamo CA and across the country. Freddie Mac, who does a weekly survey that tracks mortgage rates nationally, reported that a 30-year-fixed-rate mortgage dropped to 3.34 percent with an average .07 point for the week of November 15th. This is the lowest rate ever to be reported by Freddie Mac since they started tracking rates in 1971. During this same time period last year, we saw interest rates average at the 4 percent mark. 15-year fixed-rate mortgages also saw a decrease for the period ending November 15th. The average rate was 2.65 percent with an average 0.7 point, down from 2.69% the week prior. Last year, we saw a rate of 3.31 percent during this period of time. Many economists are attributing the decrease in rates to higher consumer confidence and lower wholesale prices. Historically low mortgage rates make it the perfect time to buy a new home. Take advantage of low interest rates and save even more money on your home mortgage. If you are ready to sell or buy a home, contact me by email or call me, Brad Gothberg, at (925) 648-5326. I have been a real estate professional for 23 years and my qualifications include the production of over $105 million in sales within the past 5 years. U.S. home prices jumped 5 percent for the month of September when compared to this same period of time last year. This marks the largest year-over-year increase we have seen in six years according to a recent report released by CoreLogic. This is just more evidence that the housing market here in Diablo and across the nation is continuing to improve. The CoreLogic report is based off repeat sales of the same homes, and it tracks their price changes over a period of time. On a month-to-month basis, home prices from August to September decreased by 0.3 percent. This was the first home price drop we have seen after six consecutive months of gains. CoreLogic believes that the decline can be attributed to the end of the summertime home-buying season. Several reports recently released show that the housing market is continuing to improve. The Standard & Poor’s/Case Shiller 20-city index rose 2 percent in August compared to the same time last year. Some areas of the country experienced a lot higher home price increases over the last year. Home prices in Arizona jumped 18.7 percent over the last year, the highest increase seen. New home prices have also jumped in the last month to their highest annual pace in the last two-and-a-half years. If you are ready to sell or buy a home, contact me by email or call me, Brad Gothberg, at (925) 648-5326. I have been a real estate professional for 23 years. There are several steps you can take to help cut mortgage costs on your Alamo home. Shopping around for the best rate when it comes to refinancing your current Alamo home mortgage is a great way to send money back into your pocket. Here are some easy things you can do to help save some money. When it comes to mortgage rates, you want to shop around. Obtain mortgage rates from a few brokers. Shopping around brokers can save you money when it comes to mortgage rates and origination fees. 2. Is it the Right Time to Refinance? Historically low mortgage rates have made it the perfect time for many homeowners to refinance their homes. Earlier this month, 30-year fixed- rate mortgage loan rates were as low as 3.49 percent. Refinancing can save you money on your monthly mortgage payment, but keep in mind that there are fees you must also pay when doing this. Before choosing to refinance, be sure to add up all the miscellaneous fees that you will incur by refinancing to ensure that the benefit of refinancing outweighs the costs. Alamo homeowners should be looking for the lowest interest rate they can obtain at the lowest cost when it comes to refinancing. 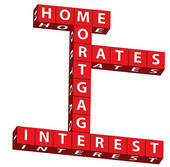 To cut costs on your mortgage when shopping around for lenders, look for those that will not charge application fees. Application costs can range anywhere from $75 to $300, according to a mortgage refinancing guide published by the Federal Reserve System which oversees national monetary policy and the banks. Shopping around for interest rates is the best way to go; however, be sure that when shopping around for rates that you do it on the same day, or within at least 24 hours. Rates change day-to-day, and in order to determine which lender is offering the best rate, it is important to shop those rates around or on the same day. If you are in the market to buy a new home and are undecided between two homes and the price difference between those homes is the only thing you are comparing, there is more to consider. Property taxes and homeowner’s insurance are also costs that you must consider that are typically added into your monthly home payment. When looking for a home, think beyond the purchase price and take into consideration other things that will be added into your monthly payment.